In this casa, I have implemented a no more growing up rule. Enough with the getting bigger stuff. I like my baby just the size and age that he is. Apparently our little dude likes to break rules. I walked into his room this afternoon to find him in his crib STANDING. ILLEGAL! 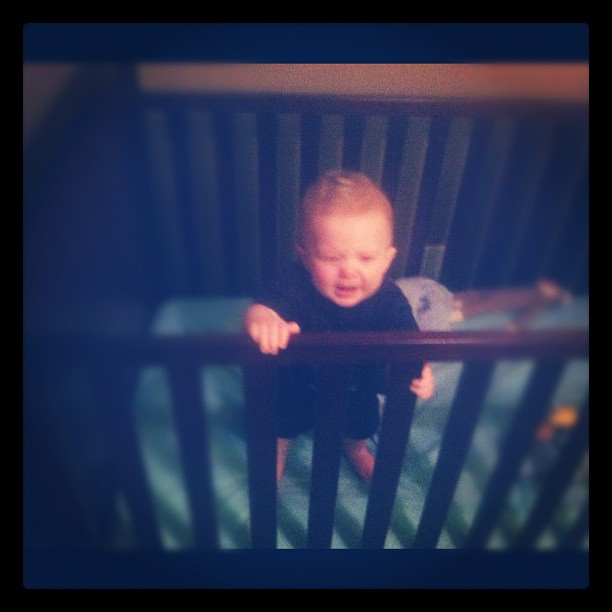 No you cannot stand up in your crib. What do you want to do next, walk?